We specialize in precision, cost-effective machining solutions, providing fast, reliable, accurate value-added services to you and your customers. Bear Boring delivers to your specifications, on time and on budget! 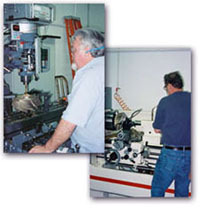 Our machinists and technicians have over thirty years' experience in machining as well as design, research and development. 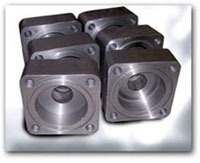 Bear Boring can turn/face/bore/thread a wide range of sizes. We can work from machine prints as well as casting prints (with specified instruction). Our machines are ISO9001-certified from manufacturer and have Newall Digital Measuring systems, holding extremely close tolerances to provide precision output. Maintenance, shutdown and fabrication solutions for the Renewable Energies Industry!